Just Romantic Suspense: DO TITLES MAKE A STORY? DO TITLES MAKE A STORY? When I write, I normally come up with character names and a title long before I have a real working plot. So changing the title is always bittersweet. A lot of fans already know this, but with so many books at Harlequin sometimes authors are given a title. GUNSLINGER is one of those for me. I’m not disappointed. Far from it. After the title was decided, it fueled ideas to make the story and setting mesh together even more. Bryce Johnson is sort of the “geek” of Company F. He’s always wanted to be a Texas Ranger, but has a gift for computers. When he’s asked to go undercover, he doesn’t have much experience in the field. 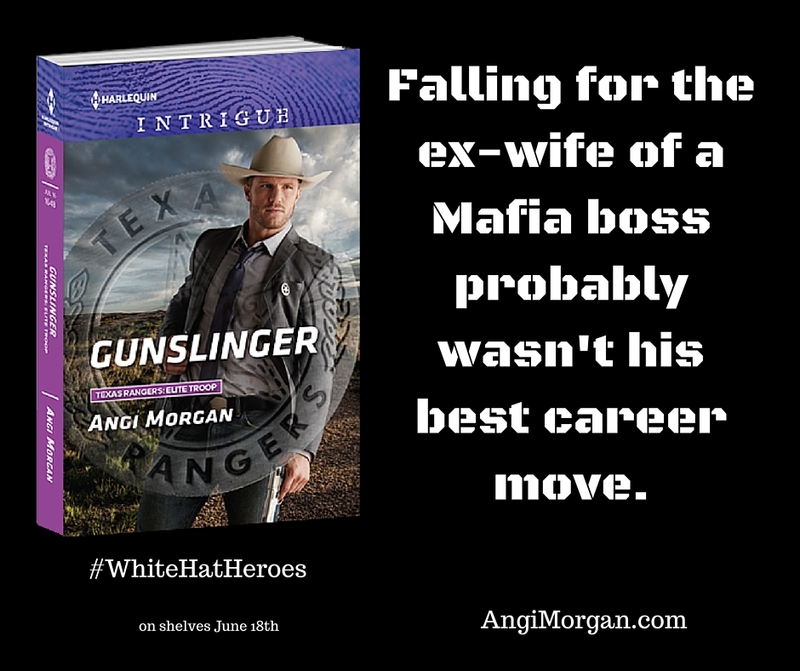 Writing this story, it was one of the rare times where my hero never fired his gun. He used his strength and skills to rescue the heroine. When researching Hico, Texas I came across the Billy the Kid Museum and wanted to include it in the story. Here’s where copy edits helped. I was able to add more about Billy the Kid (a real gunslinger that Hico has a connection to (see some photos on JRS). I also added a couple of stories about my hero that helped make the title more relevant. I love my title…hopefully you’ll enjoy the story. Catch more photos from Hico and the other TEXAS RANGER: ELITE TROOP series on A Picture a Day. Available in stores on June 18th. Pre-Order on B&N; Amazon; iBooks. Leave a comment to be entered for an autographed copy of GUNSLINGER (international drawing ends at midnight 6-21). Enter the Rafflecopter drawing for your chance at an additional prize (ends 6-30). Giveaway on JRS ends at midnight June 21st. Giveaway through Rafflecopter ends on June 30th. Contestants who enter the Rafflecopter drawing can register for additional chances by leaving a comment on Just Romantic Suspense, click the JRS comment to receive your extra entries. Bryce wanted to be a Texas Ranger when he grew up. What did you want to be? I wanted to be an artist. I love your books Angi! I hope you get to express yourself through arts, Trude. And thank you. It thrills me to hear someone loves them. I wanted to be an archeologist...until I discovered (at 6) that it meant potentially digging up human bones! Laura, that is a little daunting but could also be very fulfilling. Do you enjoy BONES or the thrillers that deal with identifying bodies? I love tv shows like that! And I probably could have gotten over the whole digging up bones thing but I ended up with a career in Agriculture and love it! Agriculture? You've got my curiosity up, Laura ! I'm always looking for unique occupations for my heroines. Nurse, teacher and interior decorator....all helping hands. Accounting...RESCUE for the most of us. I am so looking forward to reading and reviewing this book as it sounds so good. Yes sometimes if i look at a title and it has something to do with chihuahuas or something I am near and dear to I will buy due to the title. Most of the time I buy due to the author or a series that I have started to read. I wanted to be a teacher and was till i was disabled then got to do what I love is read good books. I love that you love to read books !! For me I think it is more about a cover grabbing my attention and then the book's blurb... titles can be catchy and grab ones attention, but it is not the first thing I notice. I wanted to be a veterinarian, but after seeing a live spaying operation at a fair I changed my mind real quick. Ahh Colleen, that's such a cute story ! At one time I wanted to be a police officer, but I got married and then became a teacher. Two very honorable (and underpaid) professions ! I can see that, Tammy ! I had no idea what I wanted to be growing up. I ended up working with children. I wanted to be a librarian in a small school so I could share my joy in reading. Some of my relative thought that I dreamed to small but I loved my career. I did spend some of it in bigger schools but I felt like I reached few kids there. 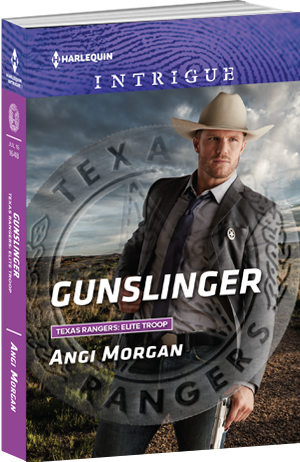 Can't wait for Gunslinger which by the way did not seem like a title you would choose. When I think of Hico, I think of the best sandwiches in the world but I haven't been there in forever. And the best PIE at the Koffee Kup. When I go back...where were the best sandwiches? So glad you lived your dream, Billie ! I wanted to be the first female moto-cross professional. I had a mini bike at age 6. My first dirt bike at 11. I lived near a state forest with miles and miles of sand trails and my friends and I would be out there every weekend racing. I'm not not sure what happened... maybe all the time I spent in school sports but that dream slowly became forgotten. I have to say that it's interesting your book, Gunslinger, has a hero who never fires gun! Julie, that's so interesting! Do you still have dirt bikes? And yep...I love my handsome, yet a little nerdy Bryce. I have always loved reading. One summer when I was in grammar school I read 95 books in 90 days. When I was 16 the children's librarian offer me a job. Worked in a bank for 22 years and I am now retired. Wow -- do you volunteer at the library now?